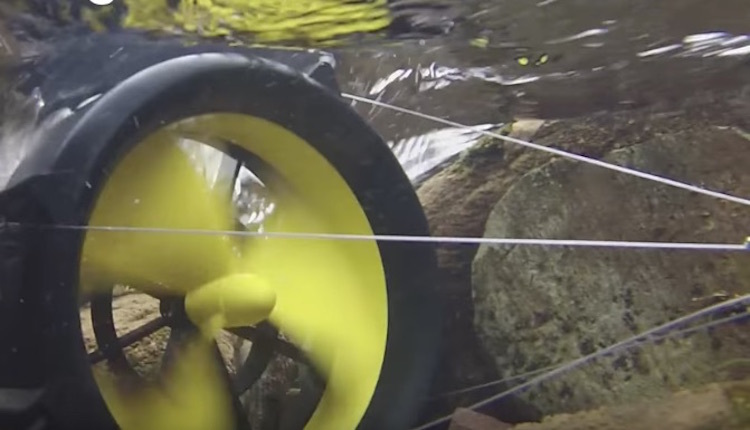 The WaterLily Turbine is a portable turbine that can be placed in moving water or wind to charge your device in just 2 hours. 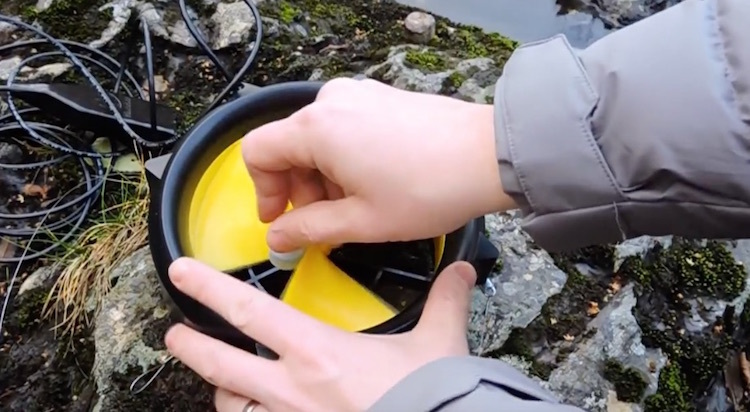 Since it’s a USB charger, the WaterLily Turbine is the perfect camping charger charging all USB-compatible devices with a 5V output. 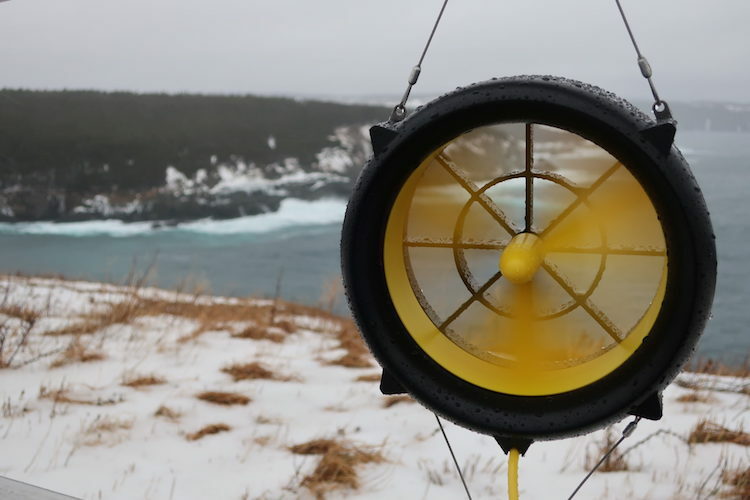 The great part is that the turbine can charge 24 hours a day, so no need to watch over it, just set it up and get back to exploring. 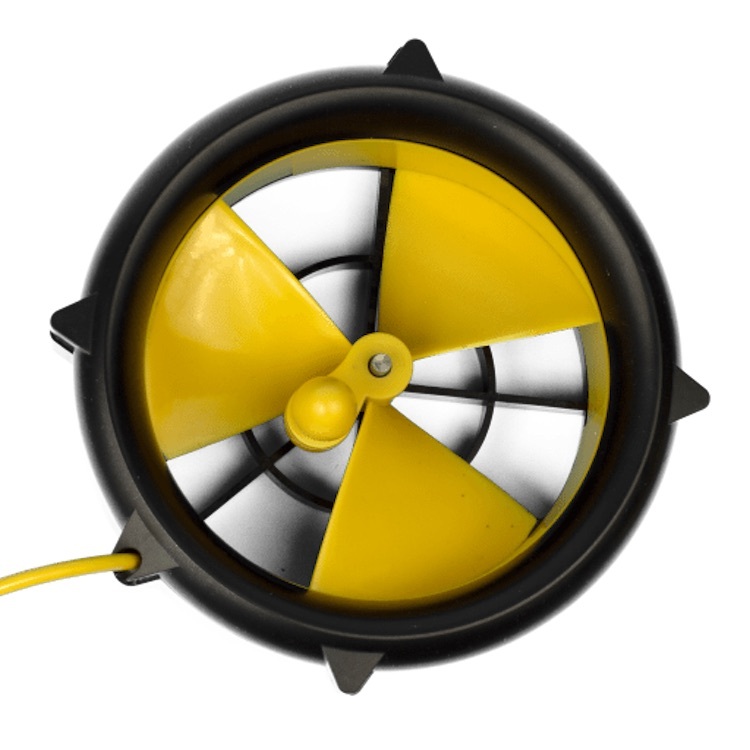 The portable turbine is perfect for outdoor enthusiasts: campers, bikers, hikers, and canoers. 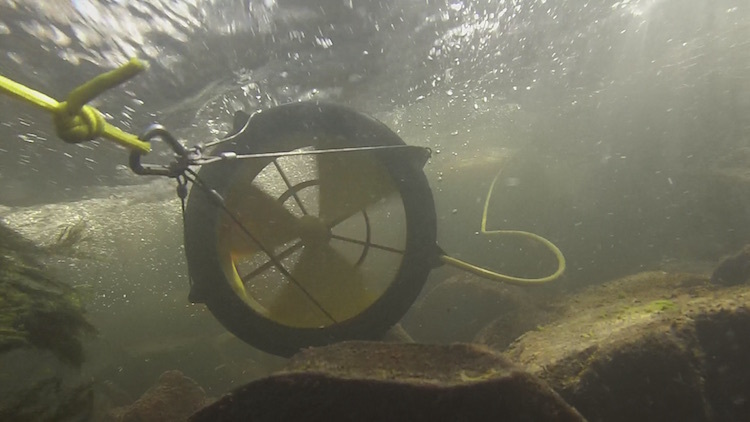 The charging time depends on the water speed and wind speed you decide to power the turbine with. 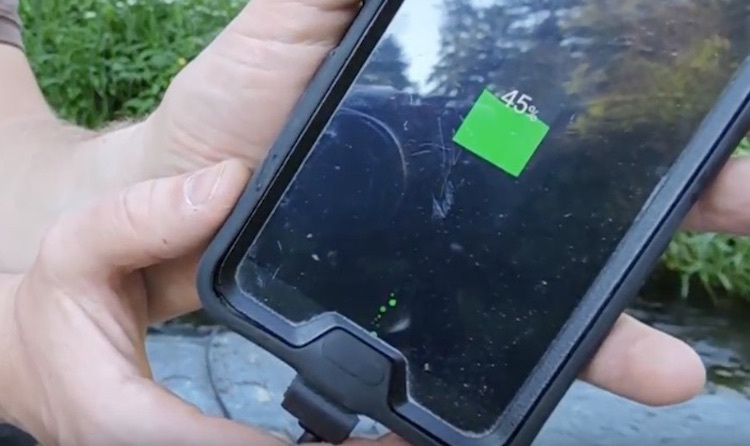 With a water speed of 2.4 – 3.7 km/h, the charge time can be anywhere from 2-6.5 hours for a smartphone. The same applies to a wind speed of 25 – 36 km/h. For a GoPro, the charge time can be anywhere from 1-3.5 hours depending on the speed. 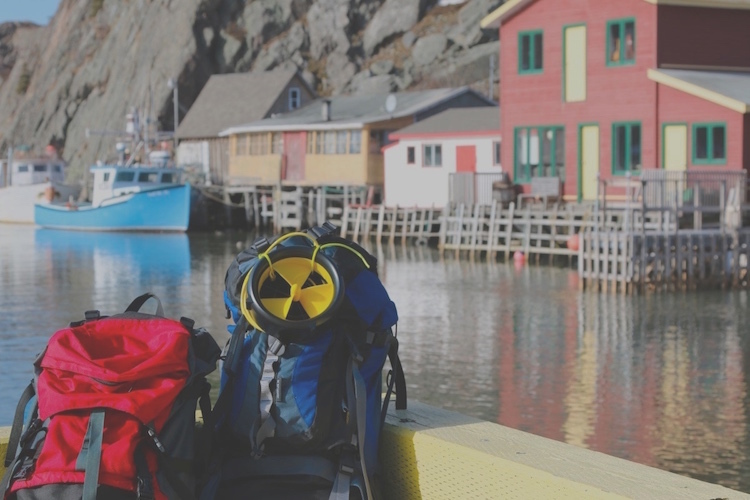 The compact and rugged design allows you to explore for a longer time without a low-battery device. 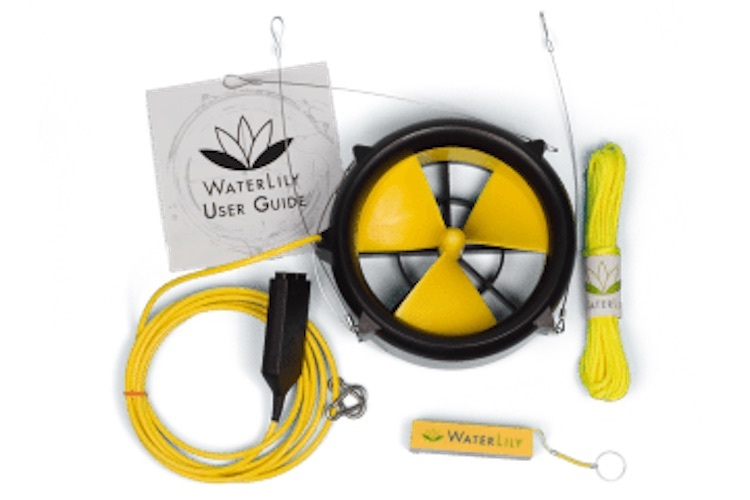 Alternatively, you can get an add-on for the WaterLily turbine that allows you to hand crank enough power for a quick phone call should you ever need a quick charge. It takes just 10 minutes to power enough power for a 6 minute phone call.